Skiing is not just great fun, it's empowering for kids and introduces them to the beauty of the mountains. Nor does it need to be expensive. If you avoid the big-name resorts and seek out modest accommodation you get the same quality slopes at a fraction of the price. Peak Retreats knows all the best ways to keep costs down. There really is a way to ski as a family without breaking the bank! 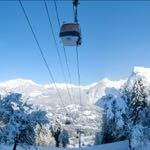 We specialise in French Alps ski holidays that offer great value. Each one of our 57 resorts offers a unique appeal and the outstanding range of choice means there’s something for every family and every budget. Experience the traditional village feel of a resort like Les Carroz, ski over to a different country from La Rosiere or ski a glacier in Tignes! 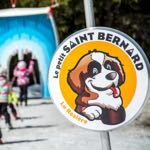 We’ve purposely hand-picked traditional resorts away from the big crowds – picturesque villages where children can safely ski and enjoy everything the mountains have to offer (as well as great value for money). Our resorts have a superb range of activities from luges to snow shoeing, ice skating and even dog sledding. Plus there’s plenty of opportunity to take part in the local events that resorts organise during the season. As alternatives to the busy ski experience offered at big-name resorts, it often comes as a surprise that our village resorts have access to the same big ski areas. We offer the same high-quality skiing at a more budget-friendly price. Our selection of ski holiday accommodation includes self-catered apartments (many of which have swimming pools and on-site spas), self-catered chalets suitable for large groups and cosy and family-run hotels. Our packages include travel by Eurotunnel or we have accommodation-only options available. We’re happy to help book train services, transfers, car hire and en-route accommodation. 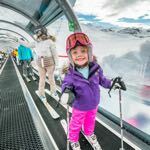 Whatever your budget, skiing in the French Alps as a family is simply awesome. For the 2018/19 season we have plenty of special offers available, even for the school holidays, such as 20% off and eight nights for the price of seven at selected dates. Prices start from under £120 per person for seven nights during peak weeks in April including a return Eurotunnel crossings (based on five people sharing a two-bedroom apartment for example). We are happy to talk through which resort and package would best suit you and your family – head to our website to find out more about us and our family ski holidays in the Alps.